Preheat oven to 180°C. Cut beef into 2.5cm-3cm cubes. Season with salt and pepper, add about 2 tablespoons of oil and mix well. Heat a large frypan over a medium-high heat. Brown the beef in 2 or 3 batches. Remove each batch and place in casserole dish. Reduce heat in the pan, add a little oil, add the vegetables, cook for 1-2 minutes, stir occasionally. Sprinkle in flour and stir until the vegetables are coated. Gradually pour in stock or other liquid, stirring well. Add the remaining flavour base ingredients, stiring until the mixture boils. Add to the casserole dish, stir to combine. Cover the casserole dish, place in oven and cook until the beef is very tender. Stir every 40 minutes or so, adding water if needed to keep the ingredients just covered. 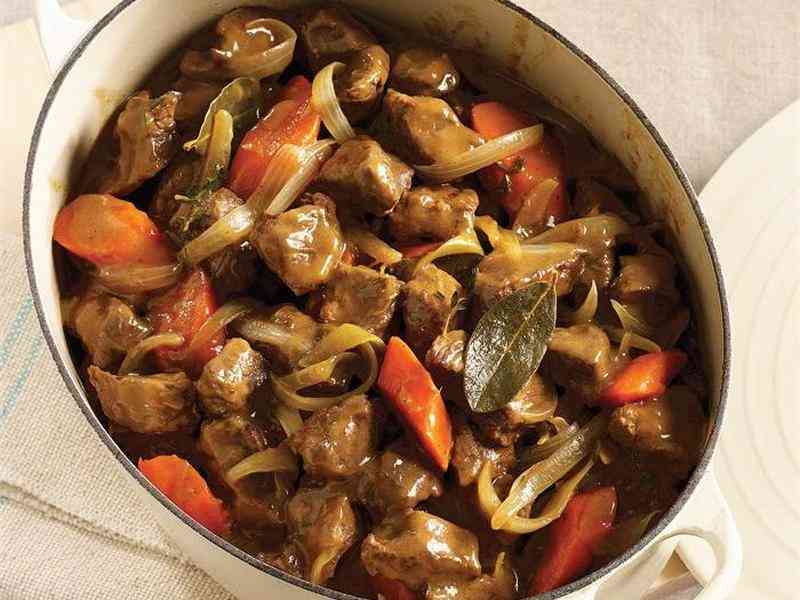 Cooktop method: Place the browned beef and other ingredients in a heavy-based pot. Partially cover, keep the heat low. Simmer until the meat is very tender. Stir occasionally, adding water if needed to keep ingredients justcovered. WANT TO RECEIVE THE LATEST NEWS, RECIPIES & SPECIALS?